Choose the 3D Layout design that best fits your need. Change the text and the clip art. Select the text color, style and size. Now you have a personalized design - Easy and Fast! 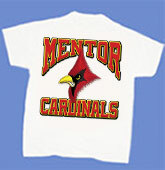 Express yourself at Work, School and Play with Custom Imprinted Garment Graphics. Hats, Shorts, Sweatpants, Bags and more. Create it the way you want... we'll add it to the garment of your choice. from the On-Line Idea Book. Find a design you like... email us the Design/Catalog Number along with the info you want on the design and we'll create a sample and email it to you for your approval. Need a photograph on a shirt? Choose from any of our Frames designs for work, school and play that fit your need for your specific photograph.